For many Malaysians, shopping is a natural activity, and lingering in shopping malls to enjoy an air-conditioned break from the punishing heat a necessity. 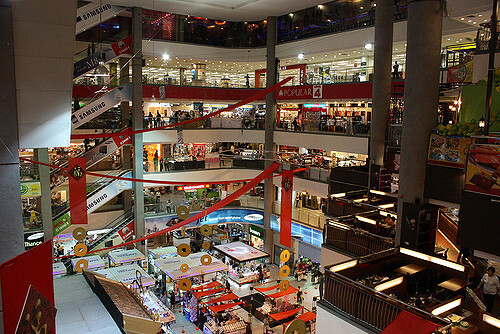 But if there’s a social aspect to shopping, what are Penang’s best malls? Where is worth hanging out, both to find good bargains, and meeting people? Among the essential things to do in Penang for first-time visitors are gorging on Penang’s best food, have a drink at one of Penang’s best bars, and visit the famous Penang Avatar Secret Garden. But the island also has a wide choice of shopping malls, among the biggest in Malaysia. For many Malaysians, shopping is a natural activity, and lingering in shopping malls to enjoy an air-conditioned break from the punishing heat a necessity – we even suggested that in our guide to the best of Penang in 48 hours. 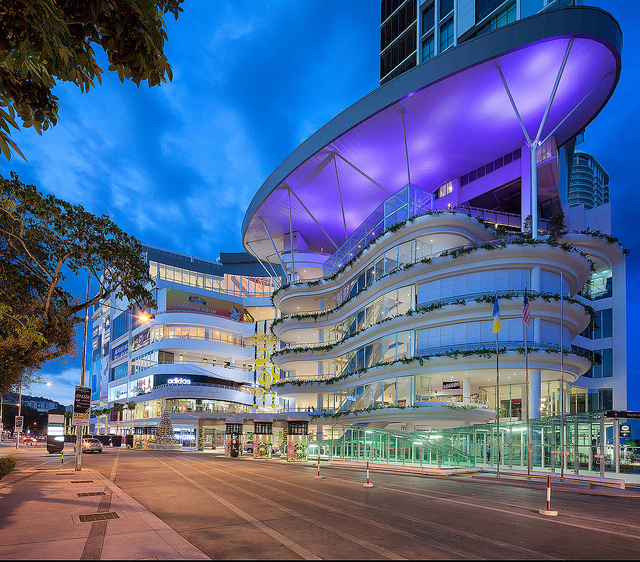 It’s not one but a concoction of two, Gurney and Gurney Paragon, facing the seaside at popular Gurney Drive. Big, a nightmare to drive to at weekends, and always, always shiny and filled with Penang’s most well-heeled people — and those who want to look like one. Here you’ll find a great selection of designer brands, expensive clothes, several bookstores (including Times, Popular and MPH) carrying a lot of English books, Western foods at Cold Storage supermarket (a good place for grocery shopping in Penang) on the ground floor, completed with a collection of mid-range food outlets and one food court. There’s a multi-screen cinema on the top floor, and more electronics and consumer goods you can ask for. Gurney also has an indoor children playground, certainly one of the best things to do in Penang with kids. 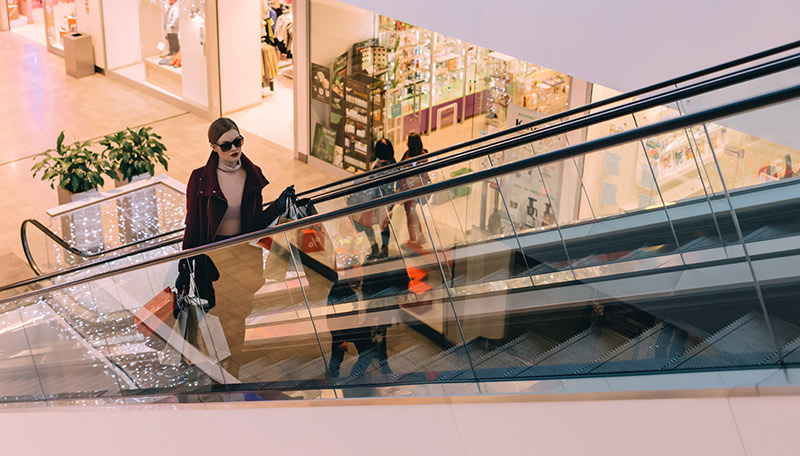 The perk of both shopping malls are the outdoor seating areas filled with franchise restaurant chains, such as Starbucks, Nando’s and others, that see quite a bit of people, especially at weekends. And yes, it’s a regular spot to bring a date out. Prangin Mall, possibly the most central, next to KOMTAR and in walking distance to George Town’s tourist enclave Chulia Street. It’s been around for a while. It cracked beyond recognition a few years ago, and was restructured and given a nice coat of paint more recently. It’s five floors of compact low-cost bonanza, and the best place to come find cheap clothes (especially for women), shoes, and also glass frames and lenses — I got myself a new pair for a mere RM150. They have a decent multiplex cinema on the top floor, paired with a game saloon for the youngest, and the usual smorgasbord of food options at a fraction of Gurney Drive’s prices. The fourth floor has a cluster of good for electronics and computer shops. Next to Prangin Mall and connected via an elevated walkway, ICT Digital Mall @KOMTAR is where one goes for — you guess it — electronics, computers, smartphones and so on. There are a couple of second-hand stores here where you can buy spare parts or get a cheaper, refurbished computer, cheap laptop and phone covers. Also, it’s the only place I know of in Penang where you can dispose of electronic parts and spent batteries. Not sure about the frequency of collection, but yes, there’s a dedicated bin for that. With a frosty temperature apt to breed penguins and polar bears, First Avenue is George Town’s latest, and probably least needed, shopping mall. 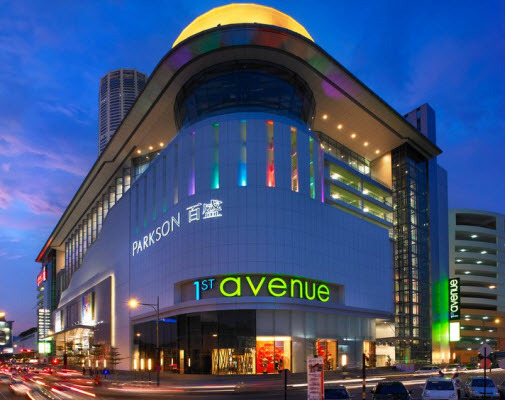 It sits right across the Digital Mall and across the street from Prangin Mall, connected to both by elevated passageways, and selling more of the same stuff at higher prices. It wins over both for style, for sure, and has great toilets, if you ever need one. The series of small electronic shops on the second and third floors are good if looking for second-hand MacBooks, and there’s also a convenient Mac Store. The cinema on the top floor is one of George Town’s most expensive, and all the food options don’t come cheaper. All in all, a very well packaged mall that doesn’t add much to the plate, but wins when it comes to chill — I mean, getting yourself out of the sun and into a punishing wall of a/c. Bring a jacket. 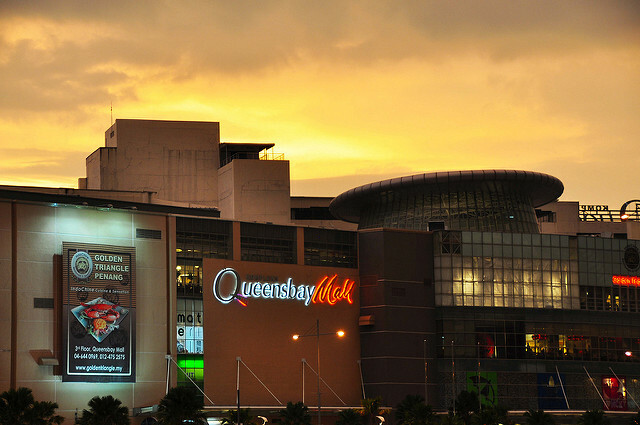 Queensbay Mall may as well be one of the biggest shopping malls in Malaysia. It takes about 25 minutes to walk from one end to the other, and as you can imagine, it has everything and more. Since it’s not too far from the Universiti Sains Malaysia area, many of its cafes and food outlets are often filled with young international students trying to crack at their books — and failing miserably. But yes, it’s a good place for a casual stroll, a drink, and some people-watching. Not as posh-oriented as Gurney Drive and Paragon, Queensbay still sports some pretty well-heeled Penang population. I love the Borders bookstore upstairs, the only one where every book and magazine is not shrink-wrapped and can be taken off the shelves to browse at the handy annexed Starbucks cafe’. Again, no wonder students love this place. Bukit Jambul Complex is a South-of-the-island institution that’s hard to beat. As it serves a portion of Penang island that’s quite a journey from George Town, it tends to be very packed, especially on weekends. This is also a favourite destination for many immigrant workers who live and work in the south of the island. In terms of posh scale, it is Prangin Mall’s southern equivalent, without the space — when it’s packed, it’s a bit cramped, and finding a parking spot in their huge annexed lot can also be a time-consuming affair. Long known to be one of the best for cheap electronic repairs, I believe it’s at par with Prangin Mall and ICT Digital Mall these days. Very good if you like crowds, but besides, pretty handy only if you live on the southern side of the island. There are certainly a couple more places, and in this post, we have not considered the malls on the Butterworth side. Do you agree with the choice? Is there anywhere else we should know? It’d be lovely to hear about it in the comments section below.